← Wheelchair Access, South Downs Way, How? 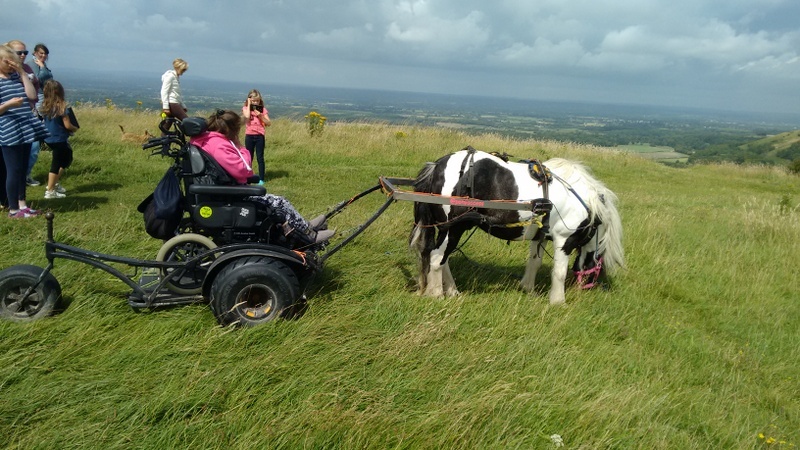 Pony Axe S taking a wheelchair along the South Downs Way is not just a publicity stunt. The South Downs Way is a challenge. 100 miles cross country, but the views are awesome, masses of butterflies, wild flowers, skylarks singing, you meet great people, and the climbs aren’t too tough. But this assumes you can walk pretty well. 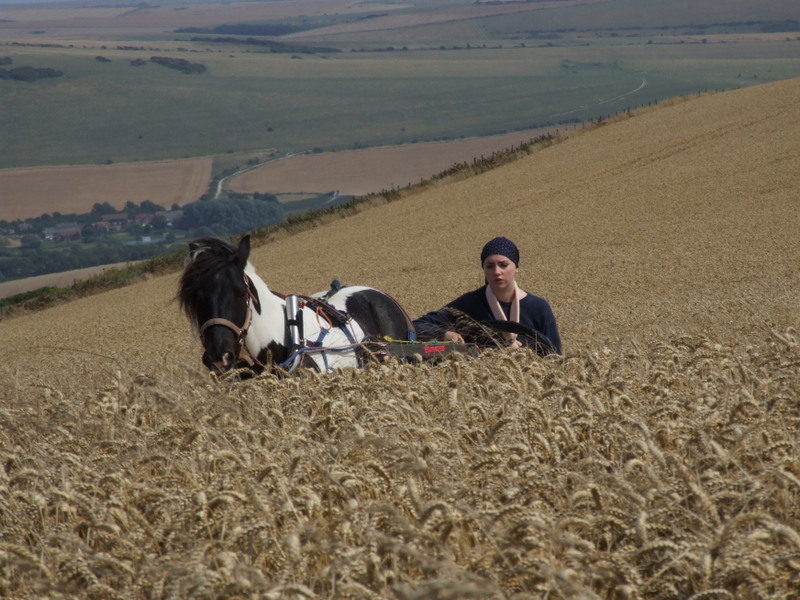 If you use a wheelchair, the South Downs Way is a series of car parks. 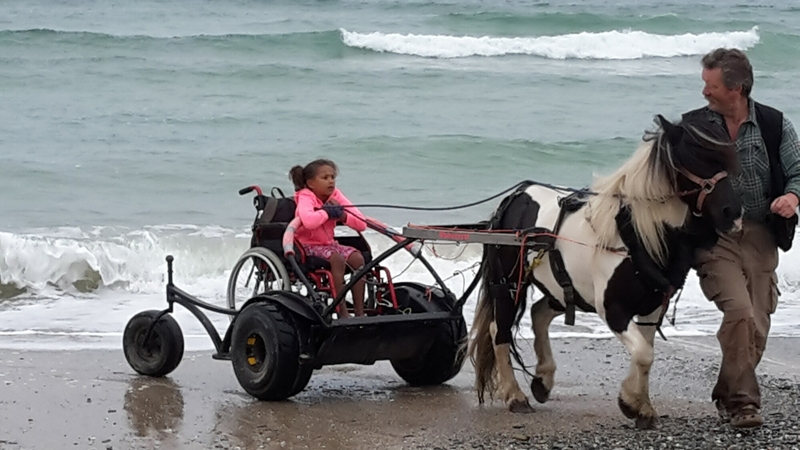 Pony Axe S will take anyone, in any wheelchair from Winchester to Beachy Head in safety. Nobody else in the world can make that claim. 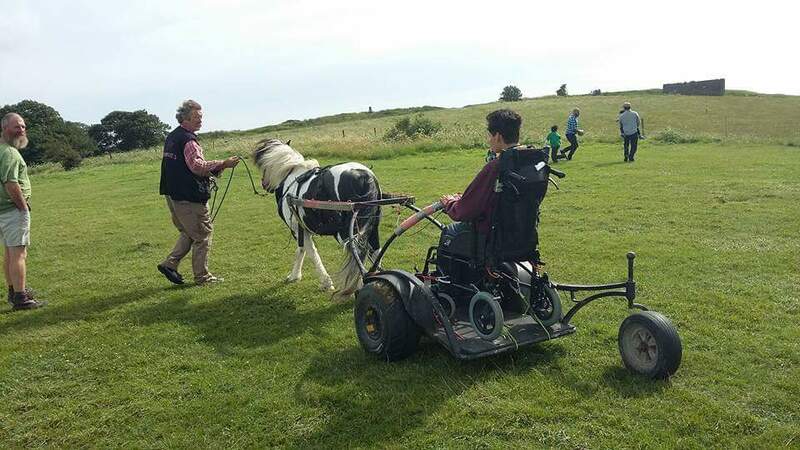 If you use a wheelchair and enjoy the countryside, Pony Axe S offers freedom. Now, the countryside is open to anyone. 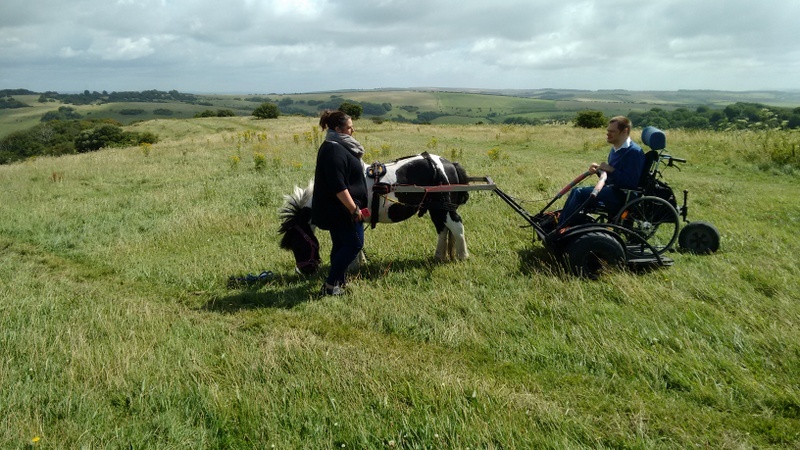 No concrete, no modifications, Pony Axe S has made the whole of the South Downs Way accessible to anyone using a wheelchair, and we haven’t changed a thing. 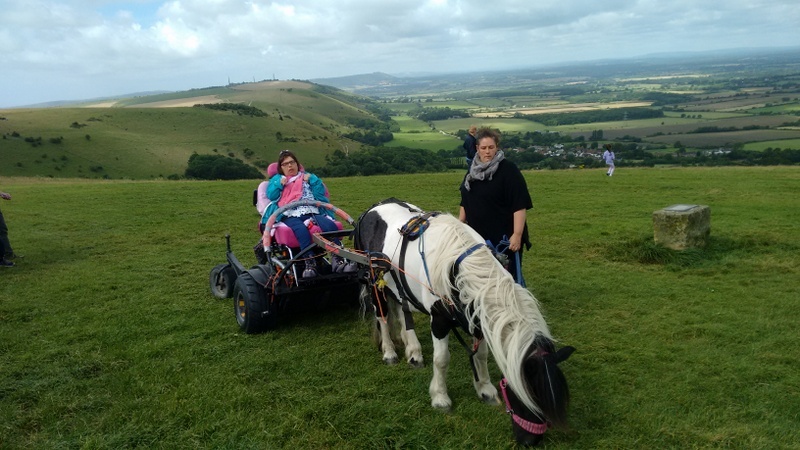 So far I have driven from Winchester to just south of Petworth but yesterday I jumped ahead and took a group of people onto Devil’s Dyke for a chance to enjoy the views and pony powered travel. This is what Pony Axe S is really about. The tough climbs over rutted, overgrown, rocky tracks are challenging. The buzz after climbing Salt Hill from Meon Valley after everyone coming down tells you you won’t get up, is magic but it isn’t the point. On Thursday, Obama and I tackled no tough terrain, but we helped a dozen people to access the countryside, for whome this is normally a challenge. The grins, the smiles and the genuine pleasure shared by all concerned, made the day worthwhile. It isn’t heroic, or tough, or even challenging. For Pony Axe S, making the inaccessible, accessible and easy, is just what we do. Pony Axe S gives choice. If you want to get out into the country, Pony Axe S will let you. And not just the few bits of countryside that the “experts” feel are suitable. Pony Axe S takes you where you want to go. 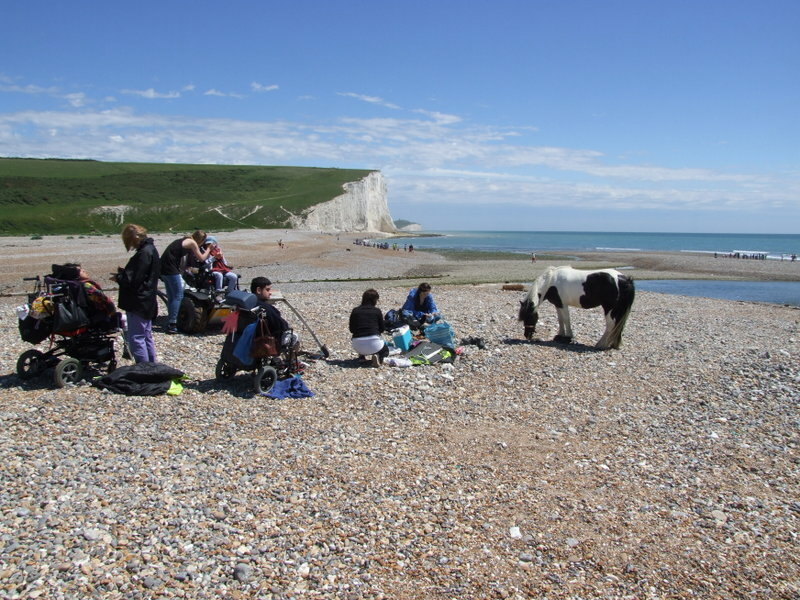 The reason for doing the whole of the South Downs Way National Trail, is so that people who use wheelchairs know they can choose where they go. Some bits are tough, some are very tough. We can take anyone, anywhere in safety. It may not be comfortable. But the choice is yours. Pony Axe S. Giving the choice on countryside access, back to you.